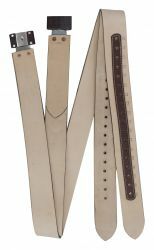 Leather draw strap. Adjusts 10"-12". 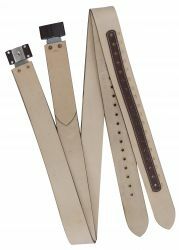 Showman® PONY/YOUTH Smooth leather replacement fenders. Stitched leather stirrup hobbles. Sold in pairs. 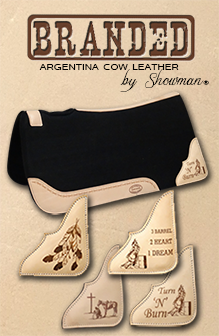 Showman ® 3" wide Replacement WESTERN stirrup leathers. 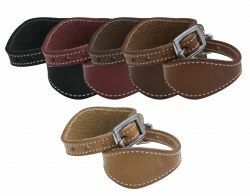 Showman ® 2.5" Replacement WESTERN stirrup leathers. 10 Piece saddle leather replacement kit. Medium leather accented with scalloped tooled boarders. 10 Piece saddle leather replacement kit. Light leather accented with scalloped tooled boarders. Showman ® Smooth leather replacement fenders. Features 2 1/2" stirrup leathers. Comes complete with blevin style buckles and stirrup hobbles. Sold in pairs. Complete Leather saddle string with saddle dee and clip. Smooth leather replacement fenders. Features 2 1/2" stirrup leathers. Comes complete with blevin style buckles and stirrup hobbles. Can be dyed or oiled to match saddle. Sold in pairs.